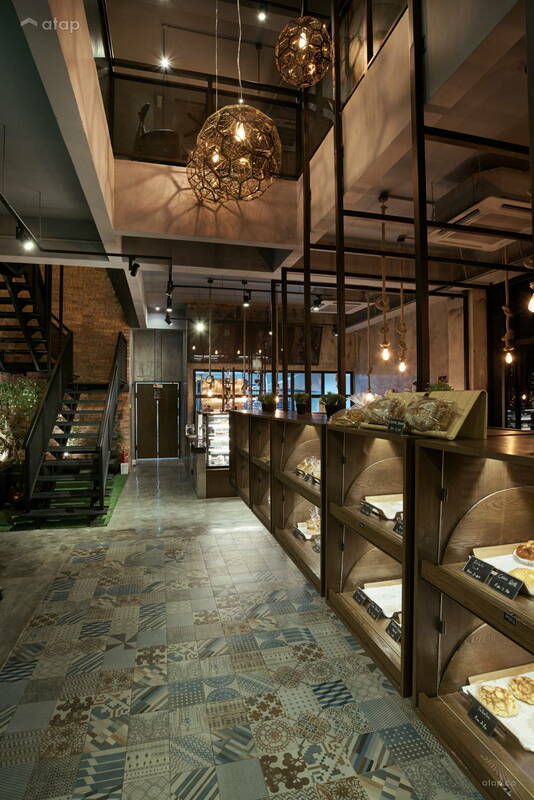 A perfect blend of raw materials and freshly baked goods this bakery designed by Malaysian interior designers from Moonlit Inspirations prove that industrial design is anything but rigid and cold. They have designed a cosy retreat using creative and innovative design ideas and styles. 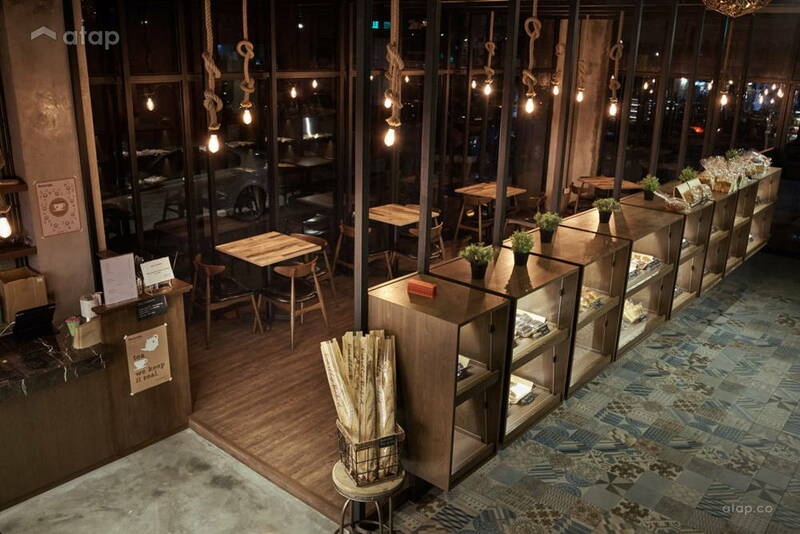 Mill Bakery is a warm and inviting food and beverage outlet situated amidst the bustling streets Sri Hartamas. 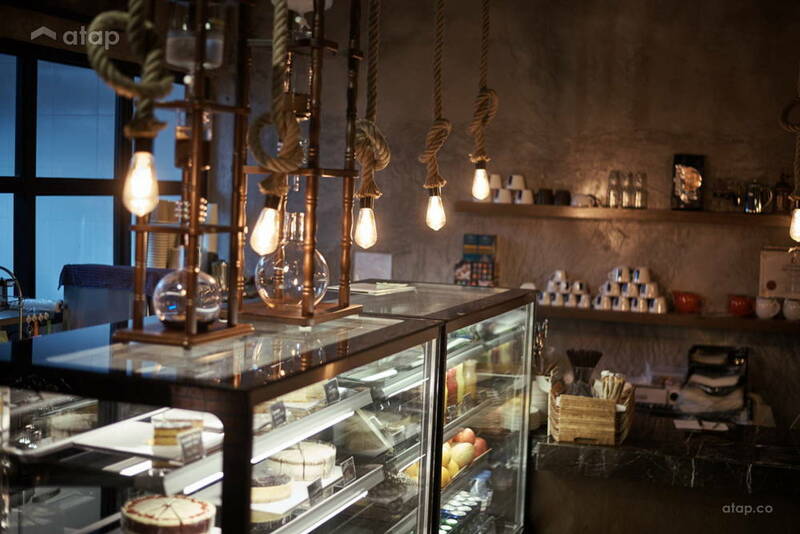 The cleverly designed space is not only eye catching, it is also a cosy retreat that offers freshly baked goods. 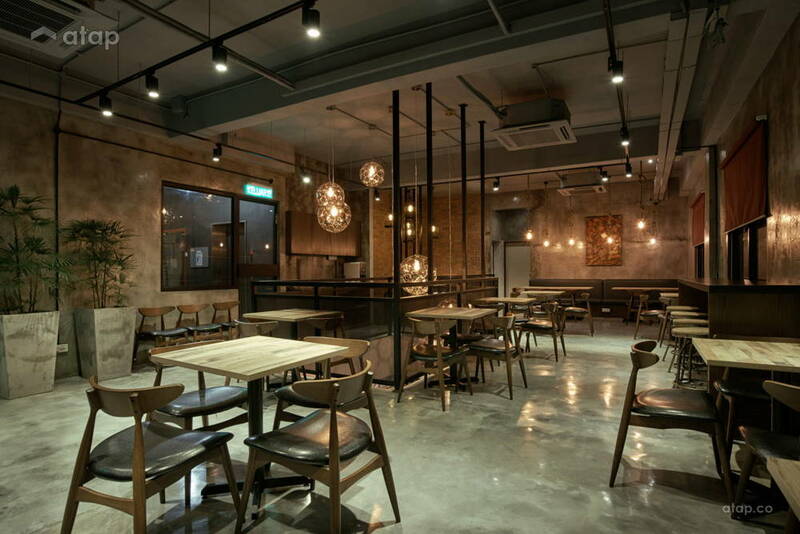 Mr. Bryan Choo, the interior designer behind the project, successfully transformed an old and dreary shop lot into the trendy spot it is now, so much so that it has been submitted for the MIID Homedec REKA Awards this year. Q. Talk us through the client’s design brief. What did they hope to achieve with this space? A. Attaining the design brief with this project was a little tricky as there was a language barrier with our Korean clients. As a result, a majority of the discussions were conducted visually with images and sketches going back and forth. The client’s’ main concern was to have the bread display as the focal point of the entire store so we had to work to highlight their display. Q. Did you have to make structural changes to the space? A. The two-storey shop lot initially had two detached floors, with customers having to exit the door of the ground floor to take the stairs up to the second floor. I told our clients that if customers can’t see the second floor, they won’t go up there. So, we broke down the ceiling of the first floor and added a staircase to the second floor within the unit itself. 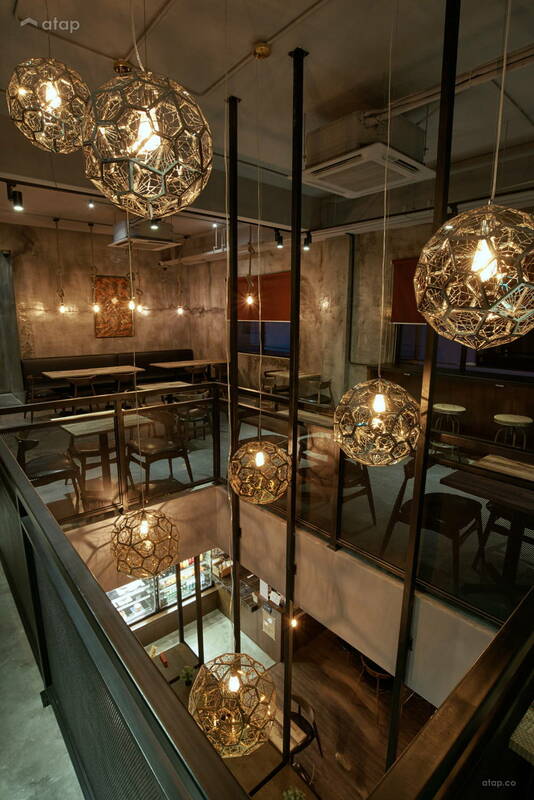 This way, customers are able to view both the first and second floor. Additionally, this structural change opened up more ceiling space and gave the unit a more spacious feel with an open floor plan. Q. 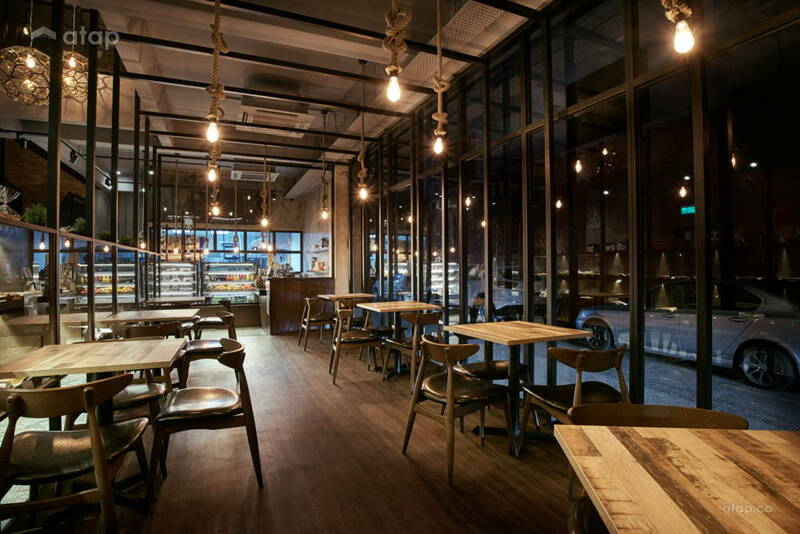 What were your inspirations when designing Mill Bakery? A. 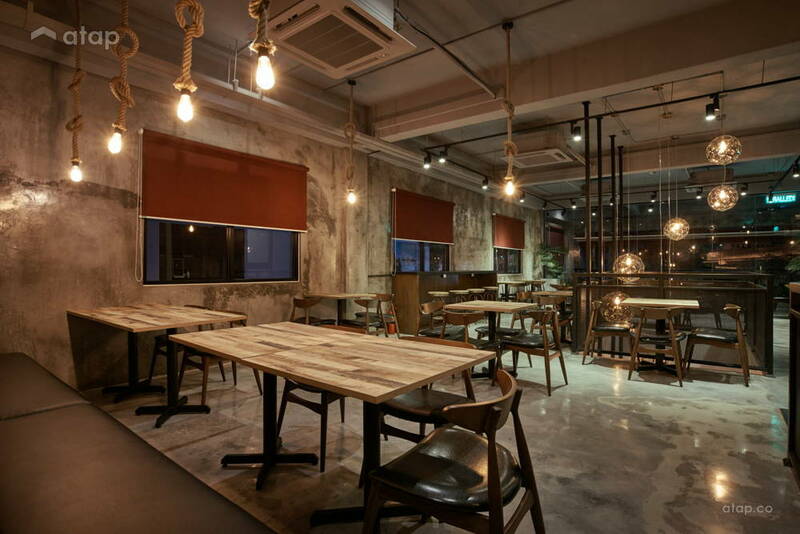 At that point, the industrial theme was beginning to be a trending choice for interiors and our clients wanted to incorporate raw materials into their space. So, we looked to rustic and industrial elements as inspiration. Q. 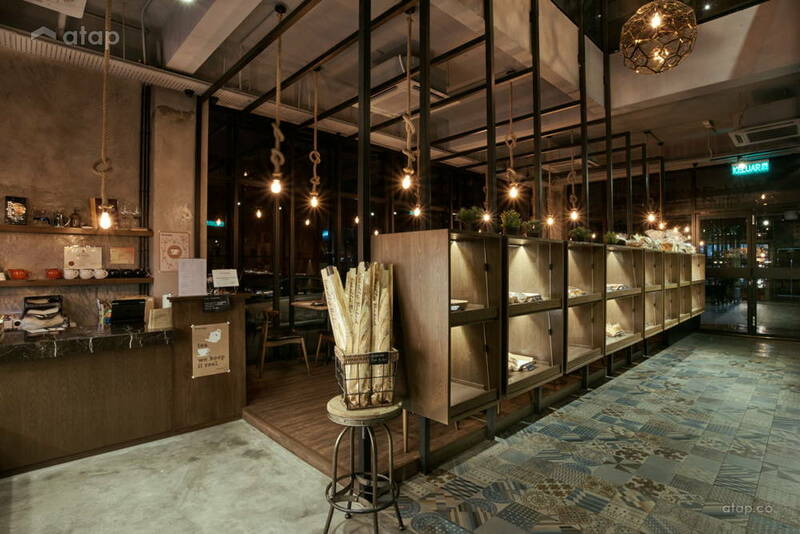 What factors did you have to take into account when designing an F&B? A. It was a very old unit that consisted of brick walls and small windows, very mundane. We had to make the unit look as welcoming as possible. The shop lot had a shut-in exterior and didn’t give passers-by a proper view so we broke down the side wall and put in place floor to ceiling glass partitions, allowing customers to have full view of the bakery. This solved the main problem with most F&B outlets: if people can’t see what’s inside, they’re unlikely to go in. 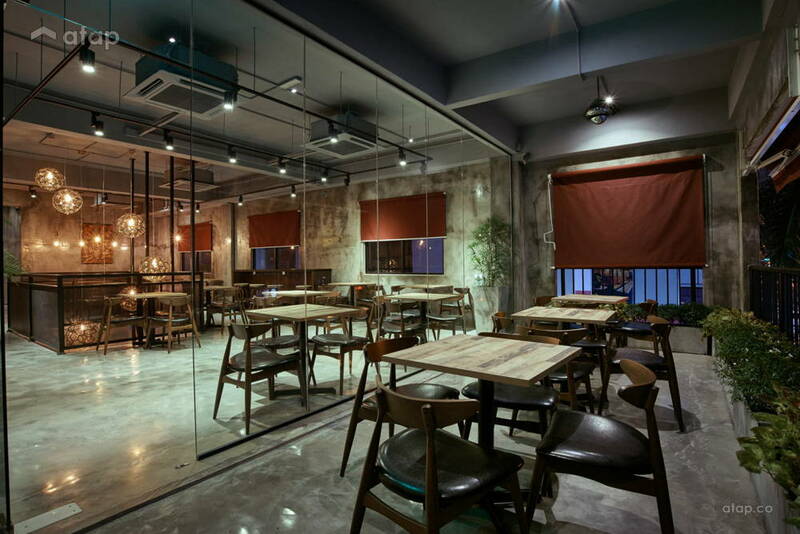 More so, F&B spaces should be a warm and welcoming place, which is why we added warm lights in strategic places and let as much natural light in as possible. 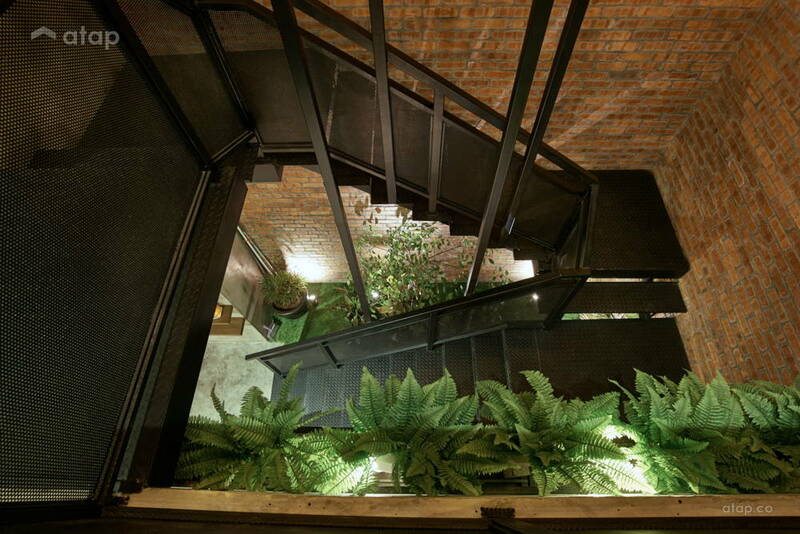 We included plants to make the space more welcoming and improve the overall aesthetic. Q. 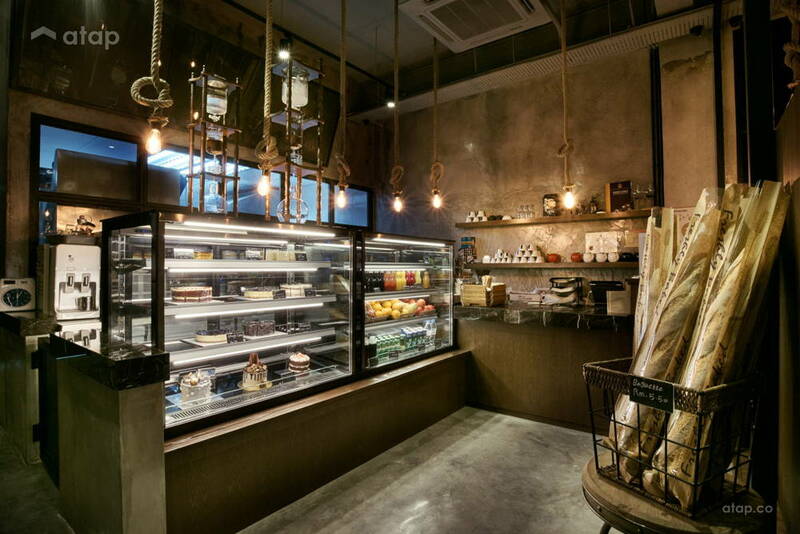 What was the process like from conceptualising the idea for Mill Bakery to executing and completing the project? A. It took quite a while from sketch to completion because there were issues regarding space. We had to adapt along the way to concerns brought up by our clients. As it is a bakery, they wanted a larger kitchen that would have reduced the dining space by half, so we worked together to achieve a good balance between the space required for prep and dining. We also worked very closely with the Mill Bakery team to familiarise ourselves with the bakery’s equipment. For instance, we saw that they had a very unique coffee drip stand so we incorporated various elements from the stand into the surrounding space. Q. Talk to us about the interesting choice of lighting at Mill Bakery. A. We chose a few different lighting styles. The main feature at the centre of the staircase is the birdcage pendant lamps. These lights reflect intricate shadow details onto the walls. The circular ball-like lights on the second floor give off a similar effect. 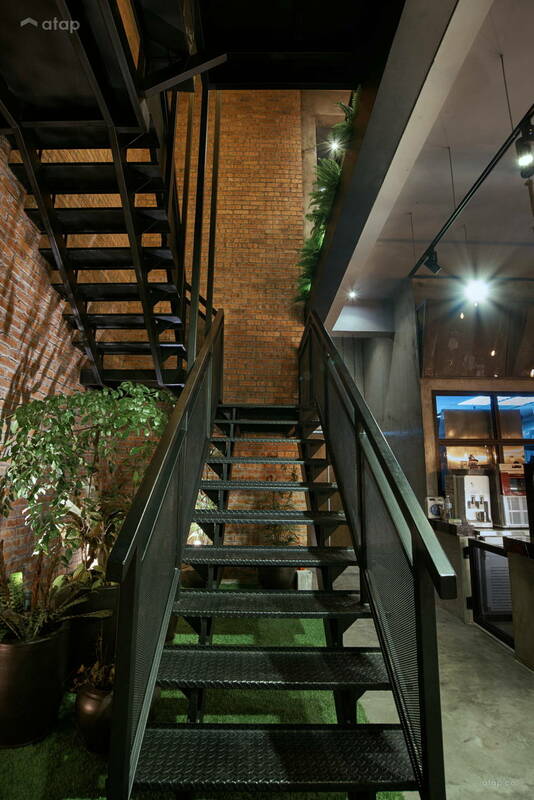 On the first floor, we incorporated rope lights that blend in seamlessly with the industrial theme of the space. Q. Did you face any obstacles with this project? A. We faced a few challenges during construction. As it is located on a busy street with various other F&B outlets, there were some constraints with the timing in which we could work. Some outlets weren’t pleased with the noise and construction work but we had to push through and finish the project. Ultimately due to this, we completed the project in four months, two months later than we had initially hoped. Q. 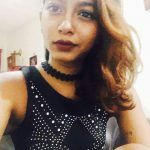 What do you think are the best features of this project? A. My favourite part of this project is the ambience we created. 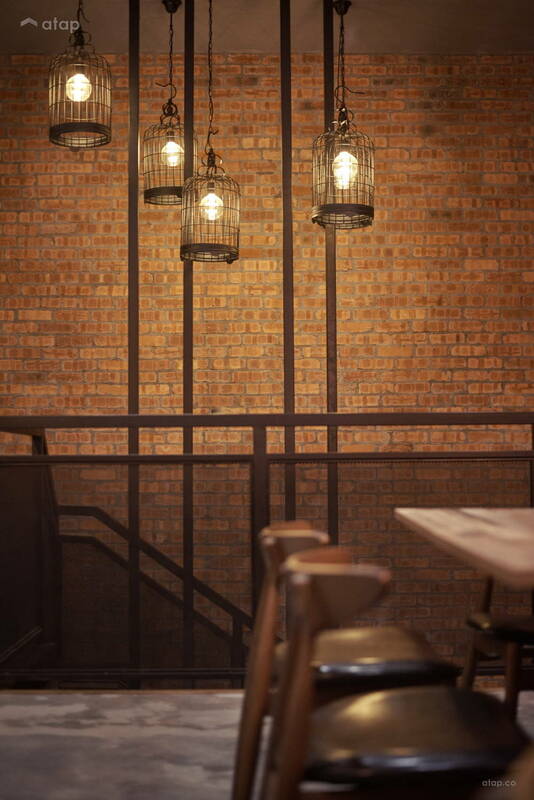 The warm lights alongside the shadow casted by the lights, plus the red brick walls, create a calming and cosy effect I’m also proud of the metal structures that we created, they marry very well with the overall theme and look of the project. Q. What advice would you give homeowners who would like to replicate this project in their own home? A. I wouldn’t suggest this theme for a home as the addition of cement and metal rails can make the home seem cold and they wouldn’t enjoy going home to cold cement floors and walls. Alternatively, I suggest homeowners to move towards a greener home. Include more plants in your space as it encourages calmness and serenity, exactly what a home should provide. Take a look at other Moonlit Inspiration projects. 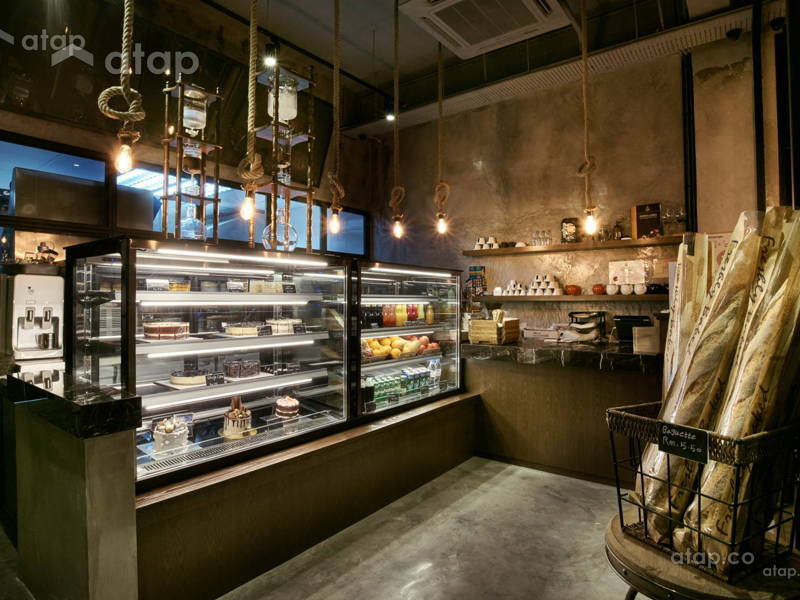 If you’d like to view more projects from Malaysian interior designers on Atap.